The Yankee RSS Farmers 4-H club recently voted to install the 2017 officers. Showplace Furniture Gallery was recently decorated by the Yankee RSS Farmers 4-H club in celebration of 4-H Week. https://www.recordherald.com/wp-content/uploads/sites/27/2017/02/web1_4-H-Installation-of-Officers.jpgThe Yankee RSS Farmers 4-H club recently voted to install the 2017 officers. 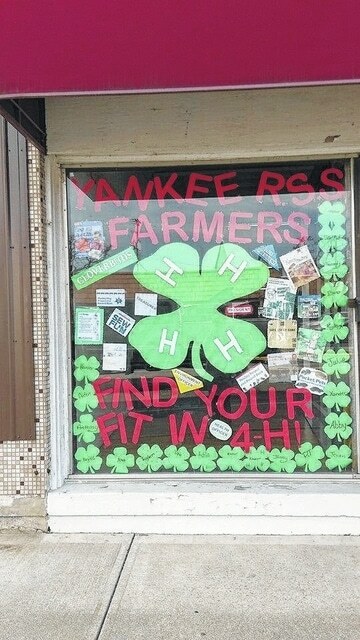 https://www.recordherald.com/wp-content/uploads/sites/27/2017/02/web1_4-H-Window-Decorating.jpgShowplace Furniture Gallery was recently decorated by the Yankee RSS Farmers 4-H club in celebration of 4-H Week.